1: You'll double your dollar's impact. Money spent at local retailers multiplies into extra investment in the local economy. Studies begun in 2002 by Civic Economics, an Economic Analysis and Strategic planning firm, showed that 47 cents of every dollar spent at local retailers and 65 cents of every dollar spent at local restaurants stays local. Compare that to the 14 cents at chain retailers and 30 cents at chain restaurants that stays local from every dollar collected. 2: You'll get it the way you want it. Small businesses excel at being responsive to the desires of their customers. In fact, one 2015 survey found that over half of shoppers say small businesses have better customer service than their larger counterparts. "Many times, customer service can be better at a local business as the business gets to know you, and you, them," says Steve Wilson, CEO of the Coeur d'Alene Chamber of Commerce. "They are your neighbors, friends, and family." 3: You're supporting neighbors in need. An Oregon State University study found that companies with fewer than 100 employees gave an annual average of $789 per employee in cash and in-kind donations to nonprofits and charitable organizations, compared with $334 from employees at much larger firms. "When you choose to shop at local businesses your dollars are being reinvested in the same region where you live, learn, work and play," explains Heather Hamlin, Small Business Programs and Services Manager at Greater Spokane Incorporated. 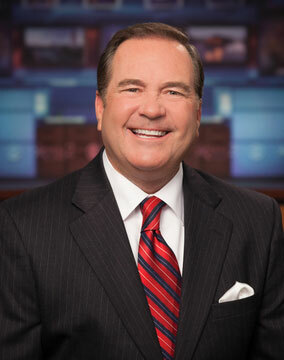 "Local businesses as a whole are incredibly generous and give back in so many ways." 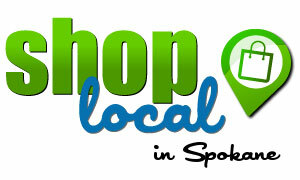 Learn more about the economic impact of shopping small and local at www.stcu.org. The 17th annual Tom's Turkey Drive wrapped up another successful campaign this year by providing 11,000 complete Thanksgiving meals to families across the Inland Northwest. The drive also raised significant funds for 2nd Harvest to help families with food assistance throughout the year. 2nd Harvest distributes food to over 250 neighborhood food banks and meal centers in 26 counties in Eastern Washington and Northern Idaho. 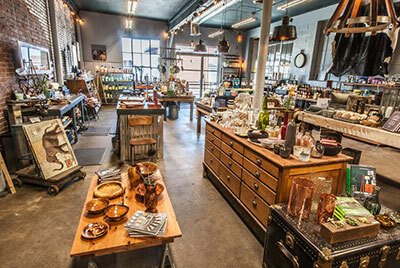 Lainey and Denny LaRue's Lolo Boutique at 319 West Second Avenue is a multi-faceted shopping experience. Lolo is a fashion store, featuring distinctive designer brands, exclusive merchandise that can't be found anywhere else. Lolo looks for unique styles that not only stand out from others, but also are reasonably priced. Their clothing, jewelry, bath and body products, and accessories help their consumers feel good about themselves. Lolo also offers an impressive online shopping experience. Go to their website lolospokane.com and click on Shop Online for all the details. The other side of Lolo is a unique gift and accessories shop carrying an exceptional variety of distinctive items that make shopping fun. If you've ever been to Seattle's Watson Kennedy stores you will find Lolo very familiar, on a smaller scale. They offer books, hilarious cards, stationery, bath and body items, garden gifts, really too much to list. You have to see it for yourself. And if the name Denny LaRue seems familiar, it's because he is a legendary Spokane hockey player who was on the 1975-76 Spokane Flyers team that won the Allan Cup. He then spent 26 years as a National Hockey League referee before retiring. He was selected to officiate the 1991 Canada Cup and the 2009 Stanley Cup Finals. Lolo is open Monday through Saturday from 10am to 5:30pm. The phone number is 509-747-2867. You can also find them on facebook under Lolo Boutique. 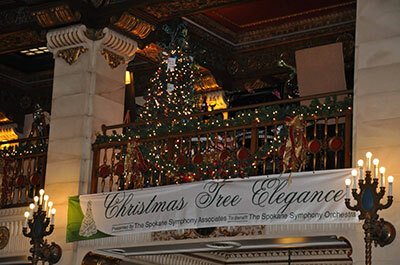 Spokane Symphony Music Director Eckart Preu and 10 members of the orchestra will be featured at two Holiday luncheons on December 6 and 7 in the Grand Pennington Ballroom of The Davenport Hotel. Door prizes and other fun activities will be included. 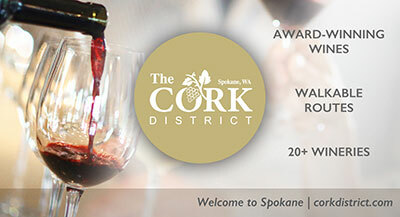 Tickets for the luncheon are $50 and can be purchased by calling 509-458-TREE (8733). Umpqua Bank has moved their downtown Spokane branch from its Riverside at Wall location to a remodeled space, 707 W. Main Ave., which was previously Bergman Luggage. The cost of the remodeling project was $700,000. The new branch also has a coffee bar, public spaces and a conference room. Secretary Becky Blankenship, Leone & Keeble Inc.
Director Jordan Onley, Uptic Studios Inc.
Trovato Interiors moves to 9919 E. Sprague Ave. 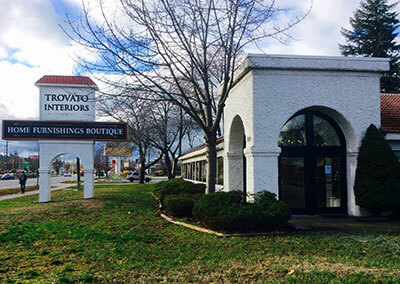 In just three years Susan Usai's Trovato Interiors home furnishings and design store outgrew their 18 South Union road and has moved into a larger location at 9919 E. Sprague Avenue. The building was originally constructed by Spokane Valley Travel. Trovato sells Norwalk and Bramble Furniture lines, Aidan Gray, and a wide variety of accessories like candles, original paintings, linens, pottery, lamps, mirrors and more. You can learn more about Trovato Interiors on facebook. The phone number is 509-217-6646. During First Friday art walk this Friday, December 2, from 5-7:30pm at 930 N Monroe Street, YWCA Spokane will unveil a sculpture dedicated to survivors of domestic violence. Additional works of art by local artists will be displayed at this public gathering. Each piece will honor, celebrate, and acknowledge aspects of a woman's journey. Debra Garrett, Spokane philanthropist and passionate YWCA supporter, reached out to YWCA Spokane with an offer to commission a work of art dedicated to a survivor's journey, created by local visual artist Ildiko Kalapacs. The sculpture, installed by the entrance to the YWCA Spokane's Alternative To Domestic Violence Program's entryway, serves as a symbol of the partnership between the YWCA and a survivor's dedication to a new beginning. 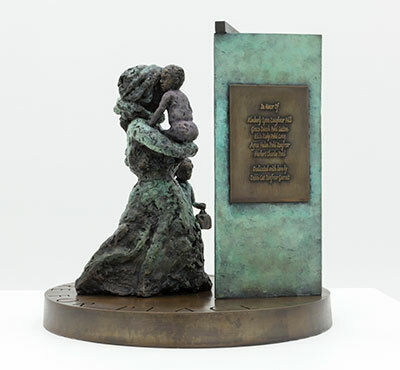 The bronze cast sculpture created by Kalapacs, titled 'Refuge', depicts a woman and her two children standing on a foundation that reads 'ENTER HERE FOR PEACE'. With her arms around them, she guides her children through a doorway that symbolizes the fortitude of a domestic violence survivor and the start of a new life. In addition to Garrett's and Kalapacs contribution, implementation of this symbolic piece required a collaborative effort of local business partners Walla Walla Foundry and Mel's Custom Cabinets. 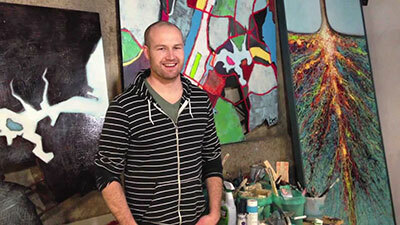 Spokane artist Ben Joyce is opening a new downtown gallery in the Madison Building at 1033 West First Avenue, located in the alley behind the Montvale building and Scratch restaurant. The gallery is having a grand opening this December First Friday with a reception from 5 to 9pm. On Saturday, December 10 from Noon to 6pm, Arbor Crest Wine Cellars will present a one-of-a-kind holiday experience of locally crafted art, wine and music, on display throughout the Wine Bar and the Cliff House at 4705 N Fruit Hill Rd. The show will feature creations from a dozen local artisans, including paintings, photography, jewelry, hand-turned wood pieces, rock art and more. Admission is free (ages 21 and over only). 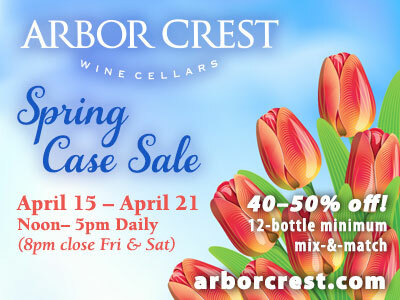 For more information visit arborcrest.com or call 509-927-9463. The public is invited to join Camp Fire Inland Northwest for a very special groundbreaking ceremony at Camp Dart-Lo this Saturday, December 3, 10am, at 14000 N. Dartford Drive. Construction is beginning to modernize Camp Dart-Lo's Lodge, which was built in 1947. The project will bring the building's original footprint to one level and make it ADA accessible. Wheelchair accessible restrooms, a new kitchen, reception area and a health room will be added. On the exterior, an ADA driveway, entrance and ramps will be included. RSVP to the Camp Fire Inland Northwest office at 509-747-6191 or send an email to campfire@campfireinc.org. This project is made possible with generous gifts from the Harriet Cheney Cowles Foundation and individual donors. Walker Construction is overseeing the project. Additional funding is still needed. For specific information on the project, and how you can help with a donation or the gift of your time and expertise go to campfireinc.org.